PE mysis has been used and loved by all types of saltwater aquarists. Now the power of fresh PE mysis has been encapsulated in a pellet form along with other essential nutrients and vitamins resulting in a nutritionally complete diet. 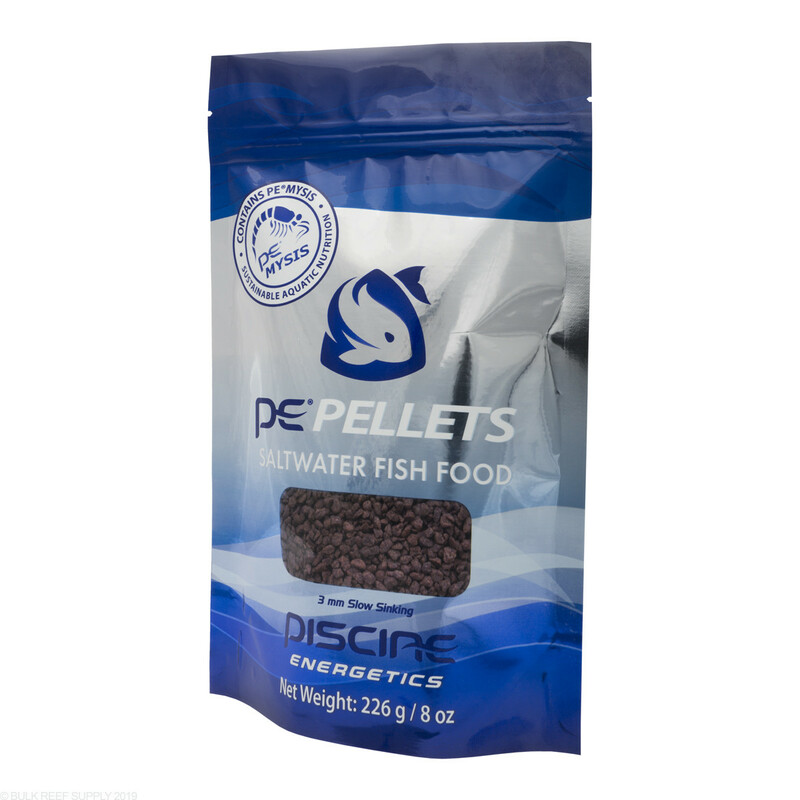 PE Pellets are a palatable, highly digestible food specifically designed for health and vitality in saltwater fish. The pellets are made with PE Mysis that is sustainably harvested and naturally gut loaded with phytoplankton and omega fatty acids leading to increased protein and crude fat content within the pellet. Natural color enhancers like astaxanthin help bring out colors in your fish you would only see in the wild while helping increase immunity allowing your fish to live longer and grow larger. It is much better to feed your fish multiple times a day over a single large feeding. PE suggests feeding as much as your fish will consume within 3 minutes up to three times a day.